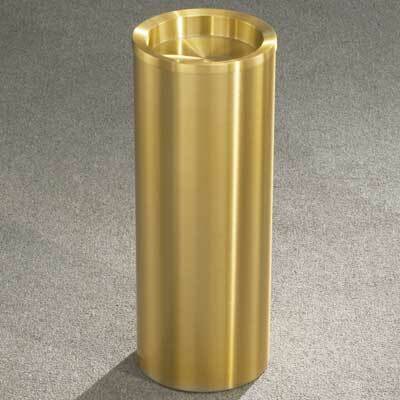 Match your existing steel, chrome and aluminum fixtures with these great looking rustproof containers for indoor or outdoor locations. With 23 No Butts Concept models, you can find the right size and model for your site, whether it is a smoking area or hotel entrance. 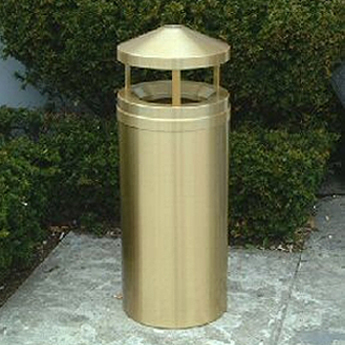 Your offices, restaurants bars and visitor centers will all benefit from an improvement in the look of upscale trash receptacles from the Concept Range. 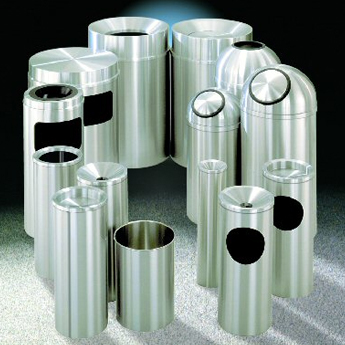 Investing in heavy gauge, rolled aluminum containers quickly pays back with reduced maintenance (they are tarnish-free, even outdoors), less damage and longer lifespan. When customers see higher quality Concept trashcans, less litter gets dropped and more collected, leaving others proud of your premises. In particularly wet or insect-ridden locations, choose spring-closing dome tops that repel weather and add to fire protection by reducing any oxygen supply. 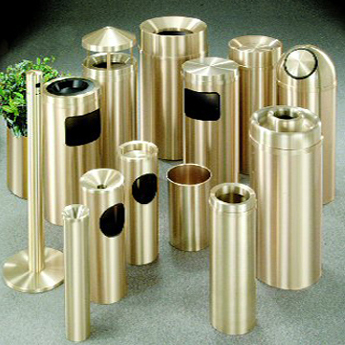 You could opt for funnel topped Concept receptacles to swallow large volumes of trash or even conceal waste by ordering flat-topped container. Tarnish-free brass enamel coating that is totally weatherproof can be used in any environment. Open topped good looking design with brass enamel coating, that is totally weatherproof. Tarnish proof, totally weatherproof, can also be used in a number of environments.